To make the tag holder base I used a layered combination of Holly Berry Borscht papers and sewed around the three sides to create the pocket. 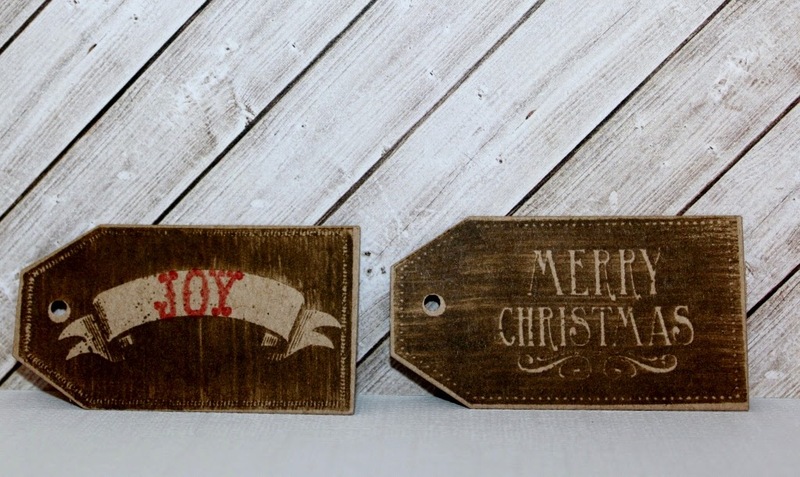 Next I stamped the tags onto kraft paper using brown ink and red ink for the sentiments. 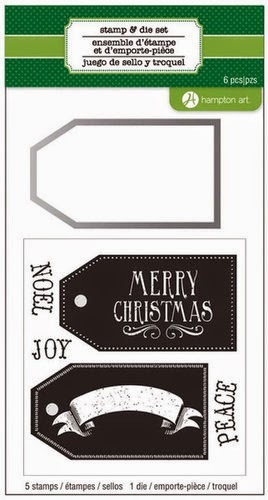 Then using my Cuttlebug I used the included tag die to cut each out. Then I used a hole punch at the top of each so that they can easily be added to a gift later with ribbon or twine. 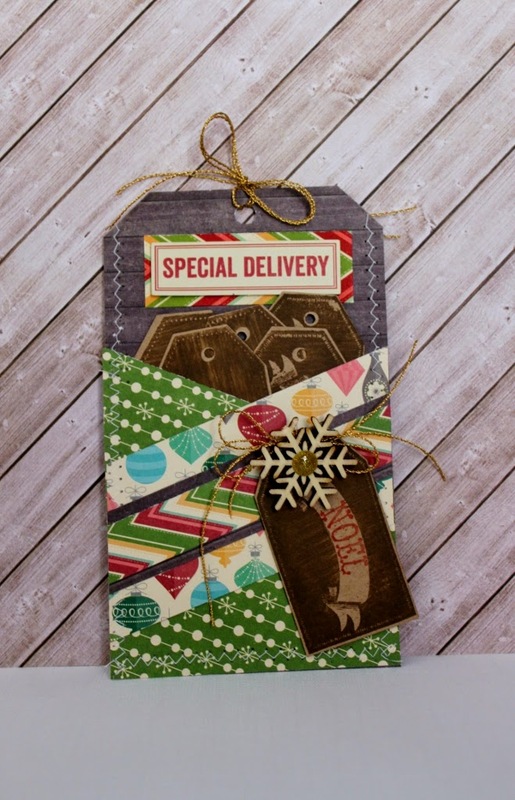 Last I added the “special delivery” tag from a mix the media ephemera pack and a wood snowflake accent on one of the noel tags with a double gold twine bow. Last I added a gold KI memories glitter dot to the center of the Maya Road snowflake and a double gold twine bow to tag holder top as well. This will make a perfect gift card holder once I use all the tags inside. Nothing says you’re special like a handmade gift card holder.